Ilona put this onto me and I gotta admit it’s remarkably cute. I’ve listened to it numerous times now. The lyrics kinda reminds me of Kids on the Run by Tallest Man on Earth but more upbeat and quirky. After ordering, the waiter came over to make the table and here is where it got interesting. Paper and pen to draw while you wait. So this restaurant is all play. I wondered why they asked my name when I ordered. It became clear later. 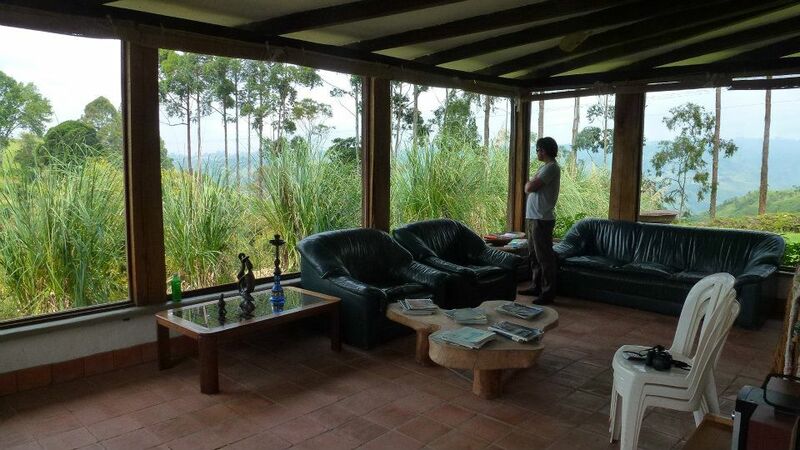 We`re in Villa Leyva right now in the mountains of Colombia, north of Bogota. 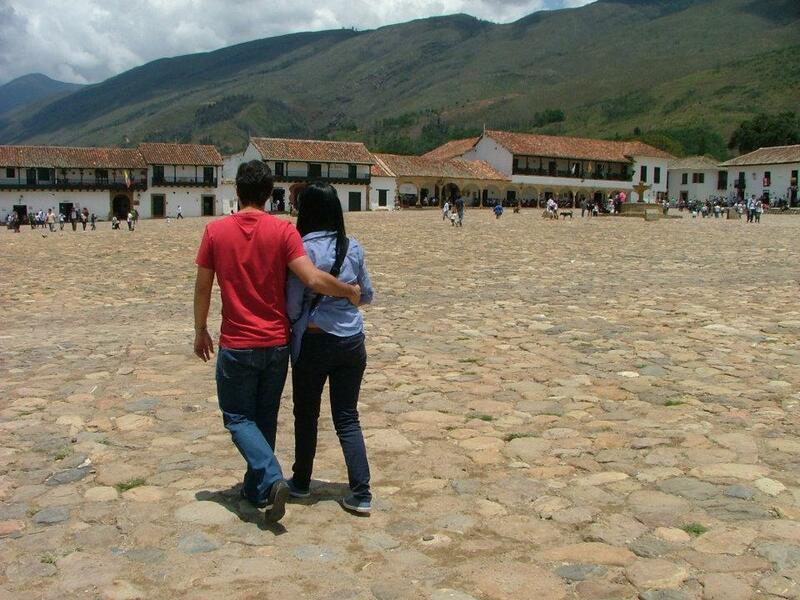 It’s an old colonial town with whitewashed buildings surrounding the largest plaza in Latin America. Its cobbled streets host restaurants, art galleries and cafes.This weekend is a long one. The streets predictably packed with parents roaming as the kids chase the pigeons and the dogs sniff each other. Friends sit drinking beers on the steps while young couple take pictures. I`m here with Gab, Natalia and Claudia. Last night we went to Claudia`s father`s country house, deep along the dark, rough roads amongst the rolling vallies. There are no lights out here and the sky had clouded over. The house was pretty sensational. Using the local igneous landscape as structural support, wide panes of glass support the high, peaked ceilings. The daughter`s bedroom actually contains a massive boulder as part of the side wall. Claudia`s father Eric is Swiss but moved here over 30 years and says he could never move back. The lifestyle and I imagine, the lack of rules and a woman snared him. Dinner involved using the open fire to slow cook the salted short lion of a cow. Coupled with some Swiss cabbage made by Claudia, some hash brown potato and Spanish wine, it was delicious. The true event of the evening was meeting Rex, Eric`s Fila Brasilero. One of the four banned breeds in the UK, Rex was not only big, athletic and energetic. He was also hungry. His breeding wasn`t the best. As a pup he was fed too much bloodied meat, developing intestinal problems but now, nursed back into health by Eric after he adopted him, he was full of beans. He was a truly intimidating sight. His best friend Scratch, the German Shepherd wasn`t as interested in us or the food but he out-matched Rex for size and apparently strength. The town got quieter the next day. Gab, Natalia and Claudia left along with most of the crowds.They have to work. Every day is a long weekend for me right now. I decided to stay and read and write a touch. I have about two more weeks in Colombia and for the last six weeks, I haven`t been able to stop, read, think or even study Spanish as much as I wanted. Still I have this year for that. With all this talk of Jupiter and Venus being in close proximity in the sky right now (and St Patrick’s Day tomorrow) , I was reminded of one of the funniest moments of my life. It’s loosely connected to the stars through some man-made haze. I hope it comes across ok because this conversation really happened. 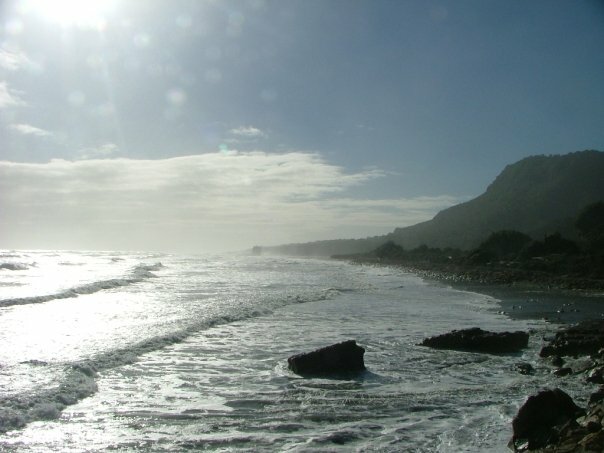 I was with Emmo in the small town of Punakaiki on the West coast of New Zealand´s South island. 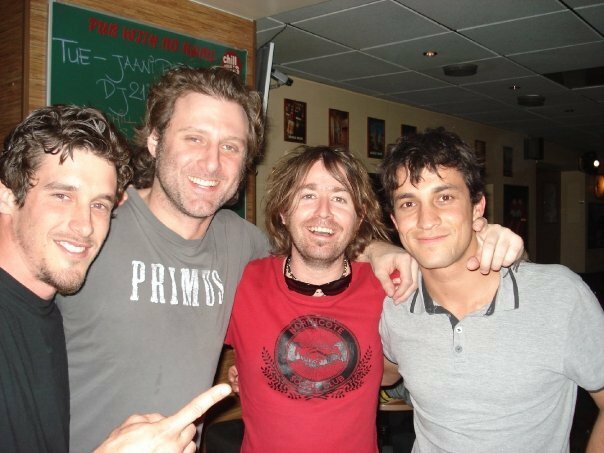 It was 2008. Punakaiki itself isn´t very famous apart from the Pancake Rocks which funnel the Tasman Sea into spectacular displays of water fireworks. The sea can be rough there. The winds whip up the waves and it comes together on the West Coast. Kiwis call it the Wet Coast. Despite its limitations of one hostel, store and pub, the place (I can’t even call it a town) is peaceful with rivers to canoe up, some trails into the verdant forest and great views. I´d stayed on my first trip to NZ and was determined to stay again. I wasn´t let down. The hostel was now owned by a German and I arrived at the same time with a German girl and two Brazilians. That night I persuaded them to go to the pub down the road. I wanted to watch some rugby. The two locals in the pub had never met Brazilian girls and were frankly astounded taking me aside as if I was their pimp. We all went out for a smoke and then the Kiwi locals invited back to their batch when the pub closed. We all went. Kiwis use the word batch to describe a beach house. I’d stayed in one on Coramandel with Mel a few weeks earlier but the locals promoted this one as the oldest in town. In a town of maybe 20 houses, I’m not sure what status that deserves. So after some beers and a lot of smoking, we were all pretty baked. I went quiet and started mulling over the world while Emmo chatted away. The two locals went out for some air. What happened next still makes me giggle. Upon returning, they were discussing what they’d seen particularly in the sky. Once the conversation started I had some clairvoyant instincts. I could feel the smile coming all the way from my intestines. I completely exploded in to hysterics, turning away to face the fire and laughing until my guts could take it no more. Tears were rolling down my cheeks and I was gasping for air. The Kiwis had sat down and Emmo was laughing at my uncontrollable giggling. I’m not sure if anyone except me got the joke. Or even if there was one. We left soon after that. The air was cold and I continued gasping and giggling. I went to bed and woke up radiant. It was time to move on.